16 Feb Is Truth Coffee, the Best Coffee shop in the world? 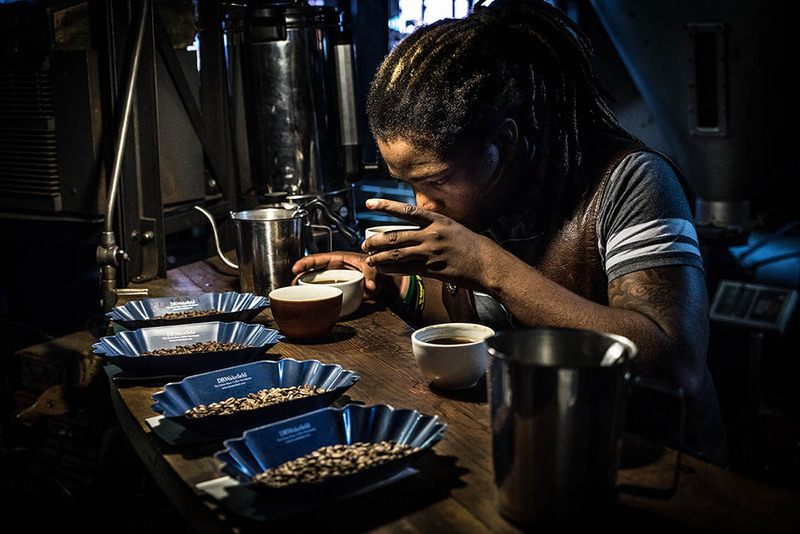 Is Truth Coffee the best coffee shop in the world? 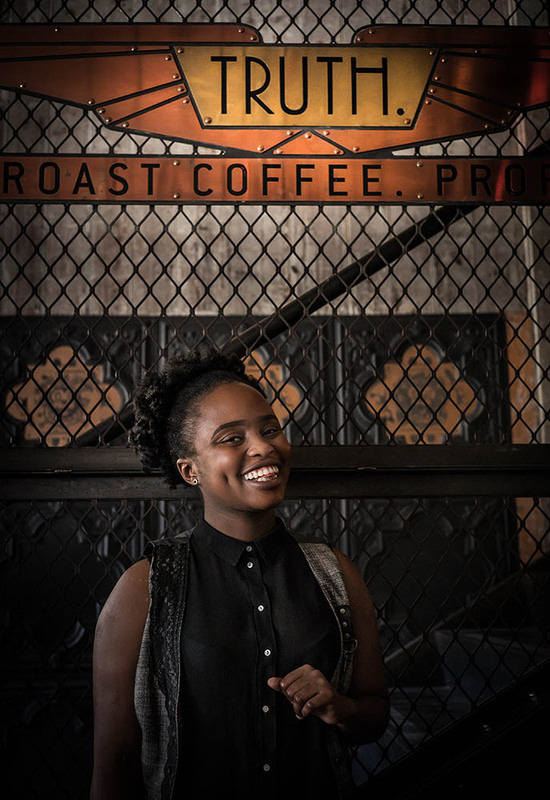 In the centre of Cape Town in South Africa, the Mother City, is an unassuming coffee shop with a tiny, easily missed, sign outside saying Truth. So what is the truth? Is this the worlds best coffee shop? Like the true coffee desperados we are, we couldn’t wait to get in to find out. On to the coffee – this strange coffee restaurant has a reputation of being the ‘best coffee house in the world’ and it certainly lived up to it. As coffee-holics, we can testify it really is superb and the food is also amazing. Whilst in there, wander around and take in the details. Even a trip to the toilet is a ‘steampunk bathroom experience’ from the solid metal doors to the authentic taps and bowls. Whilst sitting at our table revelling in the awesome coffee and food smells one of the staff came up to us and in a very low voice whispered. “Would you like to visit the bean chamber?” Now whilst this sounded more like something out of Harry Potter we jumped at the chance. Groove, (that is the coolest name I’ve ever come across), took us around the back to where all the magic happens. Piles of sacks of coffee beans mix with odd items, (old gramophones, weird lights and a vintage bicycle) in the same steampunk theme. 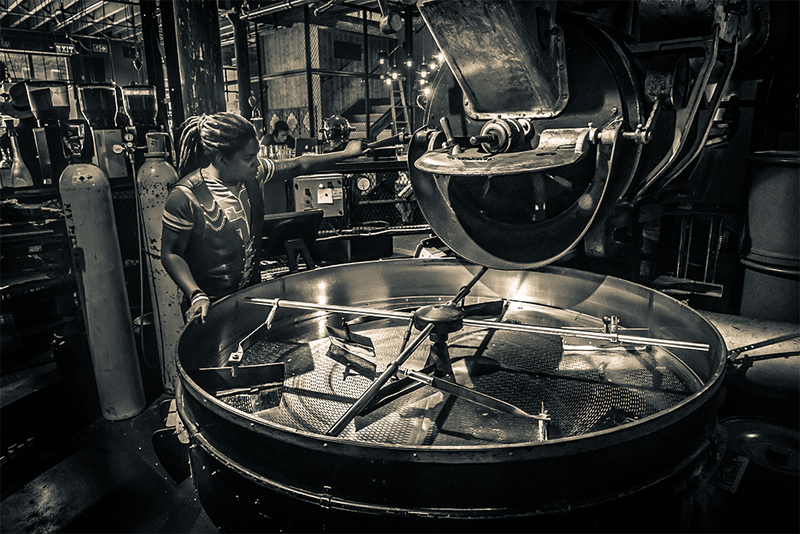 A 100-year old coffee roaster and work areas compete for space in the dim light. This is where the experimentation of different blends takes place in an almost mystical way! A lot of these images were crying out to be made into black and white – see our guide on what makes a good black & white photo. Photographing in Truth was a bit of a challenge as everything is very very dark. Slow shutter speeds and caffeine to steady the hand was the order of the day as we didn’t have tripods with us. The back room tour was a wonderful surprise. I steadied the camera on anything I could, but still did most of the images at 1600 ISO. The above image was 1/60 sec at f4. We both love Black and White photography as we started our photographic career on film, so we converted a number of the images to black and white with a subtle split tone. This technique gives a really moody feel that suits the dark coffee roasting area so very well. Have a look at Tim’s video explaining best practice in converting from colour to black and white in only 30 seconds. So is Truth the best coffee house in the world? 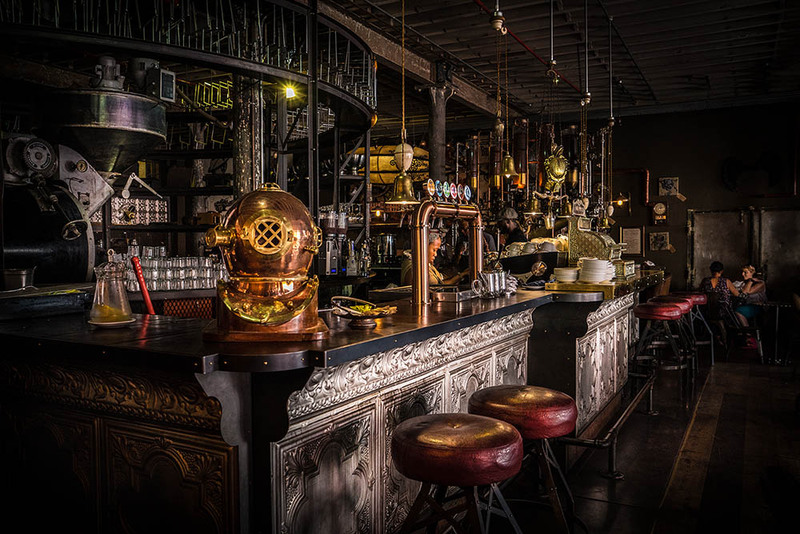 Whilst steampunk is not for everyone, we couldn’t get enough of it, so our vote is a definite “YES”. 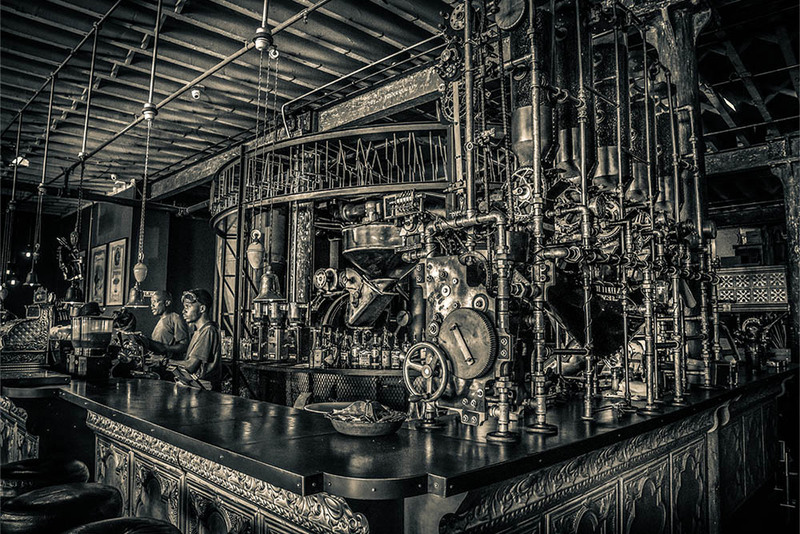 Truth Coffee is a quirky, award-winning, steampunk themed restaurant for exclusive coffee, that is not to be missed. To see more of Truth and what they do best, visit them here. Whilst in Cape Town, take in the other attractions. Read our post on the sunset trip up to Table Mountain. We also highly recommend a trip to Robben Island and Nelson Mandela’s cell.